Wiarton is part of the South Bruce Peninsula, Ontario. Geographically, the town is defined by the rugged limestone cliffs of the Niagara Escarpment (a UNESCO World Biosphere Reserve-one of only twelve such reserves in Canada), which bisects the town. 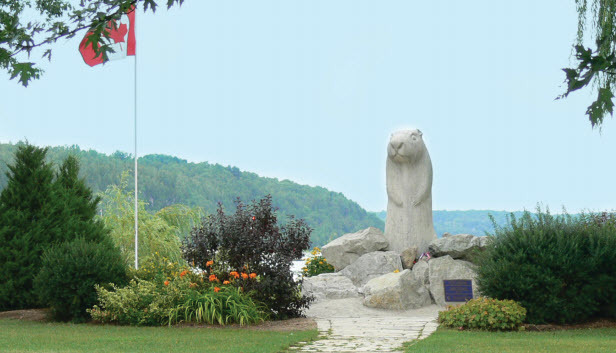 Wiarton is perhaps most famous for what occurs annually every February 2. The Wiarton Willie Festival surrounds an albino groundhog (also named Willie) who predicts the length of winter with the viewing (or lack thereof) of his shadow. The area is known for its wildflowers and fantastic gardens. The 8,000 year-old Bruce Caves are also a must see. Wiarton attracts many seasonal visitors to the area, with it’s cottages, resorts and downtown marina. Georgian Bay provides guests with never-ending water opportunities. The surrounding parks and conservation areas offer options for hiking, mountain biking, snowshoeing and stunning views. During the winter, the village is alive with skiers and snowmobilers who come to this area to experience the Bruce Ski Club and the snowmobile trails. There are some excellent groomed ski trails nearby yourself and choose to ski or snowshoe on the ungroomed Bruce Trail. 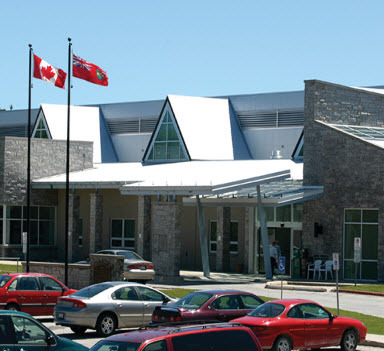 The Wiarton Site of Grey Bruce Health Services offers a 24/7 Emergency Department, ambulatory care and inpatient care including Medical Surgical and Complex Continuing Care Units. On site allied health support includes physiotherapy, occupational therapy, OTA/PTA, registered dietitian, social work, and recreation therapy. Diagnostic Imaging and ultrasound services are on site with CT and MRI accessible at GBHS, Owen Sound. Full laboratory services are available in Wiarton seven days per week with on-call coverage. Speech language, physiotherapy, mental health, and Ontario Telehealth Network outpatient appointments are available. Endoscopies are performed weekly in Wiarton with support from GBHS Owen Sound’s surgical services.